5/13/2015 – I'm confused. $26 buys ONE GLASS? How many ounces? Can't find where it tells how much "1" is. Response From Copa Di Vino: That price is the case price. The cases include 12 glasses filled with 6.3 ounces of wine. It's equivalent to buying 3 bottles of wine. 4/15/2015 – I had you wine at the theater in Syracuse New York last week and the glass was plastic. Is this what you will be shipping if I order? 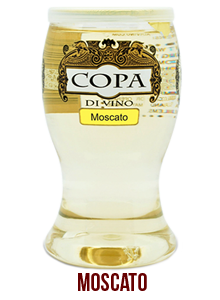 Response From Copa Di Vino: Yes, we would ship 12 glasses of the product.